The Fairfield Regional Fire School on One Rod Highway is expected to receive $7 million to construct a new "burn" building. HARTFORD -- Regional firefighter training schools in Fairfield and the Naugatuck Valley would receive millions of dollars to rebuild facilities under Gov. Dannel P. Malloy's proposed budget. Firefighters from throughout the state Tuesday joined lawmakers in praising the long-delayed projects, for which the governor has budgeted $26.2 million in his pending plan for long-term state borrowing. "This is a historic day in the General Assembly," said state Rep. Joe Aresimowicz, D-Berlin, a deputy speaker of the House who led a news conference detailing the upgrades of five of the nine regional fire schools that have been stalled in the planning process since 1999. "The money they save the state of Connecticut and our municipalities is somewhere about $100 million a year, if all of our volunteer fire services had to go to a full-time paid service," Aresimowicz said. "It's so critical that we move Connecticut out of, more or less, the 19th century and into the 21st century when it comes to the quality of our fire schools in all of the regions of our state," said Senate President Pro Tempore Donald E. Williams Jr., D-Brooklyn. "We need the best training that we can have for our firefighters in the state of Connecticut." Fairfield Assistant Fire Chief Christopher Tracy was among more than two dozen volunteer and uniformed firefighters who participated in a news conference celebrating the legislation, which if approved, could get work started on five projects that are ready for construction. 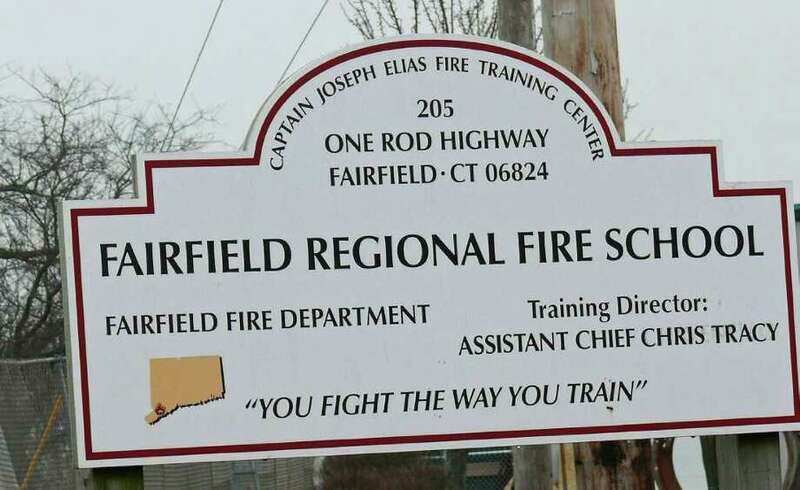 Fairfield's firefighter training facility is on One Rod Highway. "I stand among my brothers who are looking forward to getting out of borrowed facilities and decrepit resources and getting what will finally be state-of-the-art resources for your first responders," Tracy said, describing the governor's budget proposal as the culmination of a 12-year process. About $14.3 million has already been allocated for the upgrades, which must be preceded by a $2 million design process, said state Rep. Elizabeth A. Boukus, D-Plainville, noting recent fires that have challenged firefighters, including the Christmas fire in Stamford that killed five in the Shippan neighborhood. Under the proposal, the Fairfield Regional Fire School would receive $7 million to construct a new "burn" building, where firefighters are trained how to react in battling blazes. The Valley Fire Chiefs Regional Fire School in Derby that has been shut since 2000 currently stages training programs 20 miles away in Fairfield. But property has been purchased in Beacon Falls and the new facility is ready for construction. Other construction-ready school sites include the Wolcott State Fire School, the Eastern Connecticut Fire School in Willimantic and the Fire Training School of Torrington.